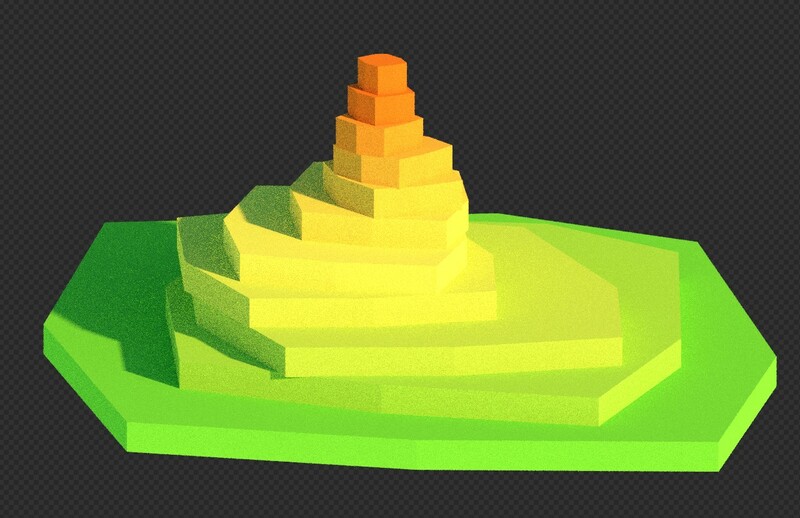 The update of "Gradient 1.2" is now available! since 20/04/18. Gradient will help you colorize your scenes quickly, you can manage the shader options with the property panel and create beautiful animation. *this scene is included in this pack. How many shader deliver it with gradient ? 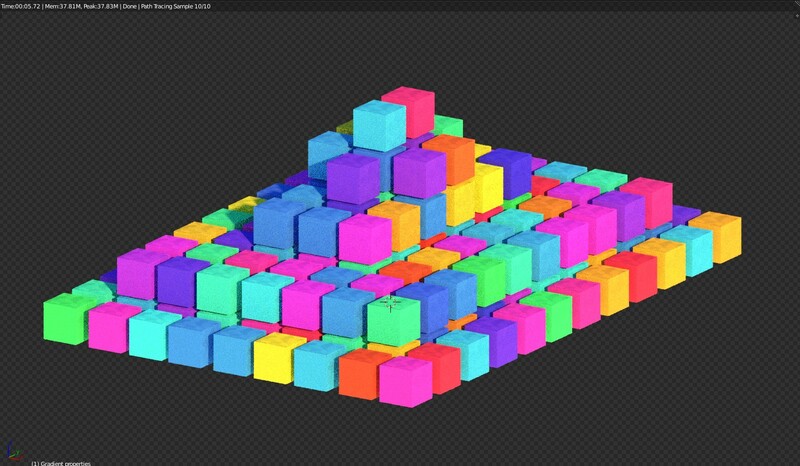 Gradient is deliver with 2 shader, the first is set to generate color graduation for separate objects in all three axes, it has 2 mode "location+Flicking lights" or "random+Flicking lights". Select shader 1 and press "TAB" to open. Use the "color ramp" to change the default colors and press "TAB" to close. fig 1 To access the properties select the empty object. fig 2 Gradient shader 1 "Diffuse/location mode"
fig 3 Gradient shader 1 "Diffuse/random mode"
fig 4 Gradient shader 1 "Random mode/Emission/Flicking lights"
fig 5 Gradient shader 1 "Location mode/Emission/Flicking lights"
If you switch to camera mode "2" as in Fig 6 Gradient uses camera movement to randomize colors, giving you a beautiful effect without any effort. fig 8 Gradient shader 1 Diffuse Mode "Random"+ "Camera"
fig 9 Gradient shader 2 Diffuse Mode "Location"
Gradient shader 2 Diffuse "Mode Camera". Is it compatible with particle systems ? Gradient is perfectly compatible with particle system and if you use the"random mode" + "camera mode" you will have a beautiful rendering. 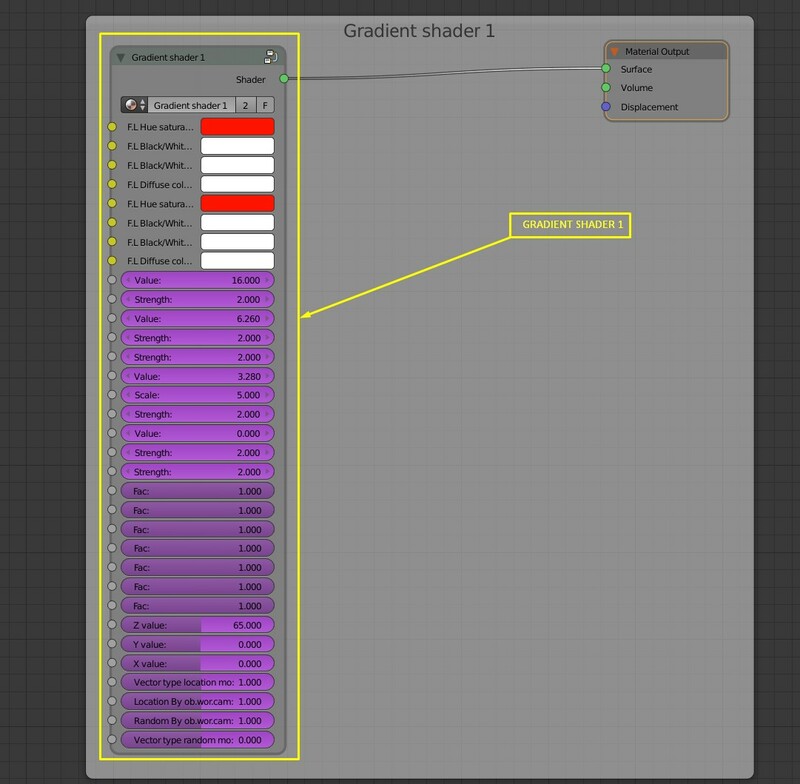 Shader "1" generates a color graduation for separate objects and uses two modes "location" or "random". 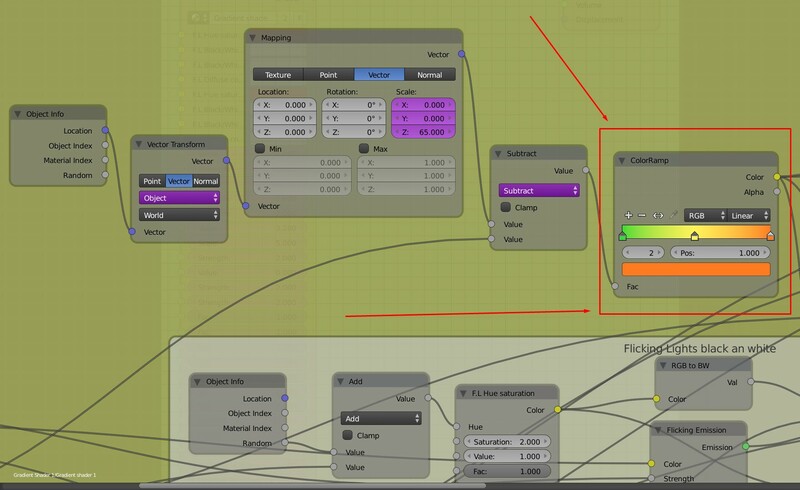 Shader "2" generates a color gradation for a single object and uses the "location" mode. The colors can be, randomized using the position of the object, the camera or with the properties. 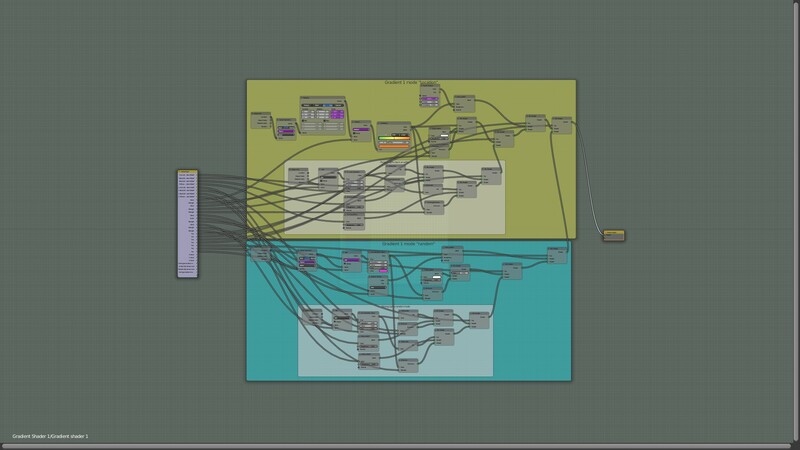 ready for Particle System animations. Shader Grandient 1 is now compiled. Shader Grandient 2 is now compiled. for the "flicking lightc" mode you can now choose between "black and white" or "color" for the "location" and "random" mode of shader 1.
all the manipulations you do are now directly visible in "rendered" mode. when you switch from one mode to another you can create progressive transitions for the animation. 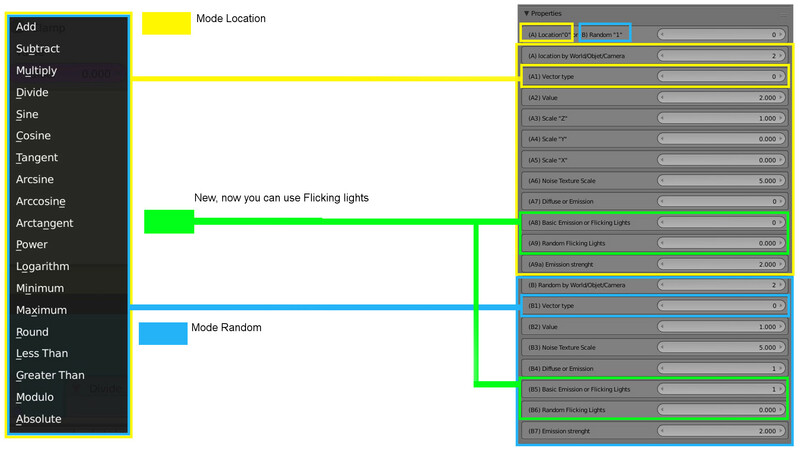 Flicking lights now available "location mode" Black and white color. Flicking lights now available "random mode" mixed color. 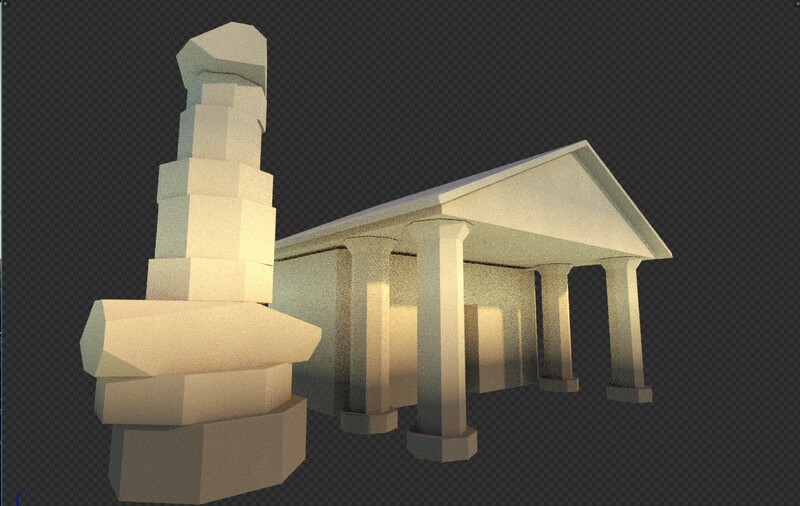 Hello everyone, to use this pack of assets is very simple just open the Blend file and import the objects by groups.